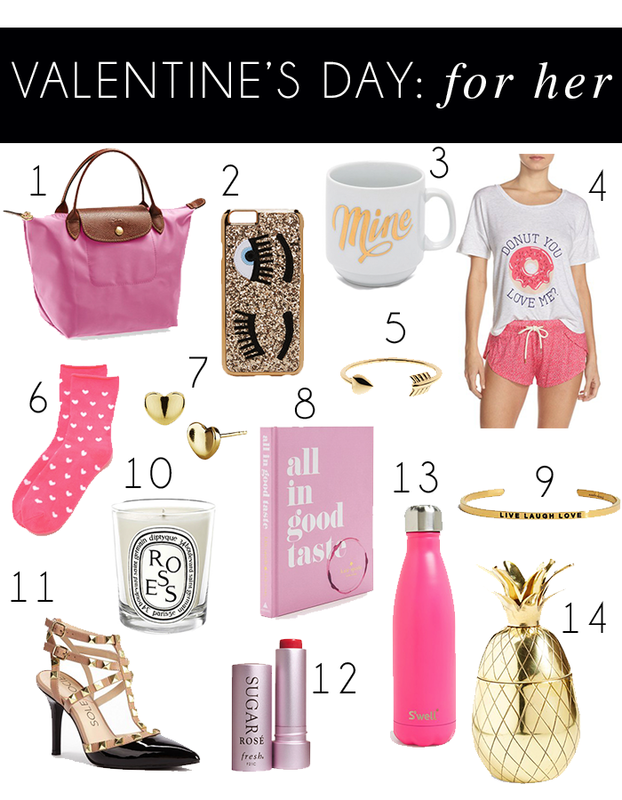 I wouldn't say Valentine's Day is one of my favorite holidays by any means, but I will tell you that I use it as an excuse to bring anything and everything pink into the apartment! All the decorations and gifts can definitely be taken to an extreme, but there's nothing wrong with celebrating in your own way and if that's going over the top, more power to you! Whether you're celebrating with a significant other, your best friends, or simply want to tell your mom you love her, there's a ton of cute things out there this year! I've included some of my favorites above, many of which are currently on my own wish list. So, if you decide to treat yourself for Valentine's Day, I will not judge you and will probably be joining you! If flowers and cards are more your thing, I highly recommend using The Bouqs Company. I saw them on Shark Tank a while ago and decided to give them a try and they did not disappoint. They are really straight forward with their pricing, unlike most companies that have ridiculously expensive shipping and handling fees. Their flowers are grown either on the side of a volcano, or on an eco-friendly farm and are cut and delivered within 2-4 days. I've used them to send many birthday, anniversary and thank you flowers and each bouquet has been beautiful! Oh, and if you have any questions or problems, their customer service is amazing. So, now I have to ask, do you have a love or hate relationship with Valentine's Day?